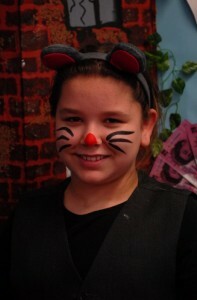 Our KS2 Christmas play was a fantastic rendition of The Wind in the Willows. 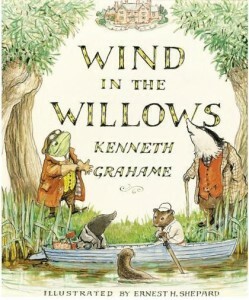 The whole school worked together to produce a spectacular performance that captured the works of Kenneth Grahame. Each year group devoted huge amounts of time and effort to create beautiful dances that complimented the different scenes throughout the play. After a stroll, Rat and Mole headed to the river. The Year Four children entranced their audience with a bewitching river dance that ebbed and flowed through the Wild Wood. Mole and Rat headed to the river where the Year Three children presented their brilliant duck dances. They had some wonderful costumes! Badger, Toad, Mole and Rat fought off those pesky Year 5 weasels that took over Toad Hall. There were a lot of amazing costumes for our evil weasels! Finally, Rat and Mole headed to Mole End, where a group of lovely woodland creatures sang a beautiful Christmas carol to end the play. Well done to Ashleigh for her dazzling solo! 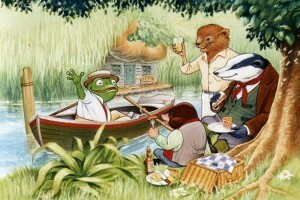 We hope you enjoyed The Wind in the Willows as much as we enjoyed creating it! and an even bigger thank you to parents who provided such brilliant costumes!